Cone Beam 3D Scans make getting the right image easier than ever before. The latest technology to help dentists truly discover what is happening in your mouth is the #D cone beam scanner. X-rays form the shape of a cone and circle around the patient’s head, and the scanner captures more than 500 individual images. 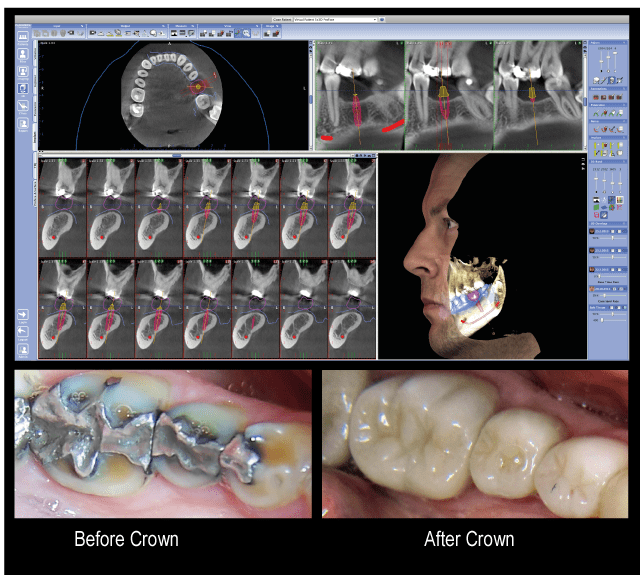 This gives Dr Guerra the ability to assess and plan your crown placement. The CBCT scanner provides complete and accurate imaging, CBCT is used whenever a 3D view is advantageous for diagnosis, or the continued management of conditions in the jaw. For premier care and the latest dental technology in Colorado Springs, make an appointment at Guerra dental. Our doctor and staff are dedicated to providing quality dental, preventive and emergency care for you and your loved ones. Dr Guerra offers state-of-the-art 3D CT technology. Call 719-596-1230 and schedule an appointment today. Cone Beam 3D Scans make getting the right image easier than ever before. The latest technology to help dentists truly discover what is happening in your mouth is the 3D cone beam scanner.